DMS, which serves as the official digital arm of Choueiri Group, has formed a partnership with Striveme.com, an Arabic online platform, dedicated to premium coverage of automotive, luxury & lifestyle. Strive is collaborative work between Kooora.com and a consortium of digital media and technology experts and specialized individuals and parties in this domain. It will use the previous learnings, skills and track experience of the people who founded and succeeded with Kooora and mix that with the most recent, modern and trending techniques in technology and content. The partnership, which commenced on May 1, 2018, is envisioned to enhance the value and effectiveness of the communication solutions, which DMS delivers to brands and advertisers across the region. 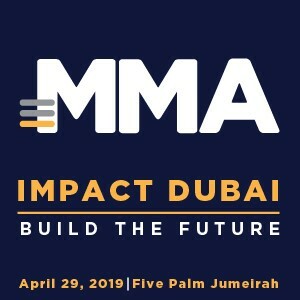 As per an official statement, on the audience engagement and performance front, Strive Middle East has, since its launch in December 2017, managed to gain attention of more than 500,000 unique visitors from across the region. “We are excited about the launch of what has swiftly become one of the region’s most preferred automotive, luxury and lifestyle platforms. Our editorial strength coupled with our unique approach to delivering original content with high appeal has been delivering results, which have exceeded our expectations. We are very much looking forward to working with DMS now on building this platform to its fullest potential. We are confident that DMS ‘expertise will enable us to take our business to the next level,” said the Managing Director of Strive Middle East, Samah Safa.